A compact solid-state high voltage DC power supply that provides high efficiency and reliability in a single small enclosure is being introduced by Diversified Technologies, Inc. (DTI) of Bedford, Massachusetts. The DTI 250 kW HVPS Series Switching Mode Power Supply is a compact, fully integrated solid-state unit that provides 15 to 100 kV adjustable output with > 92% efficiency and > 100,000 hours MTBF (mean time between failures). 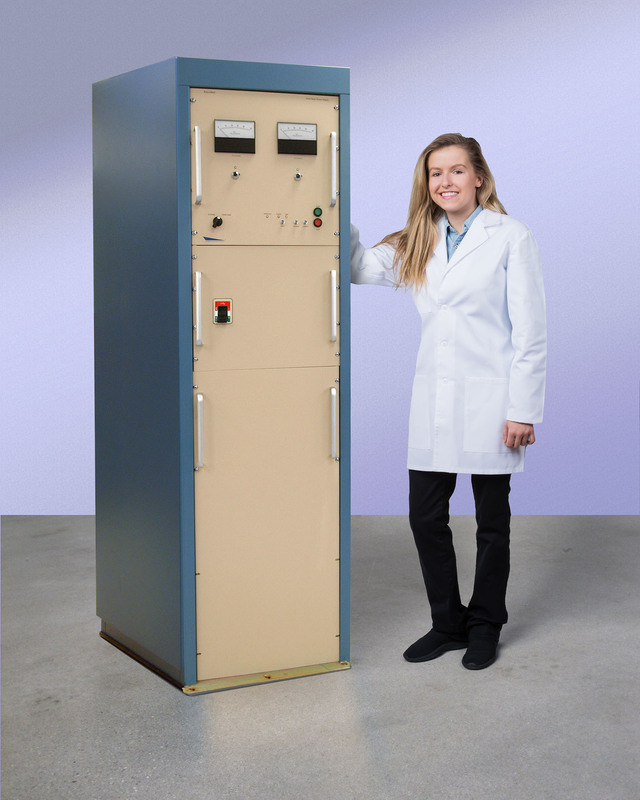 This high voltage power supply is packaged in a 24” W x 36” D x 74” H cabinet, uses tap water for cooling, and eliminates the complexity involved with connecting and controlling multiple smaller switching power supplies. Suitable for a wide range of industrial and research applications, the DTI 250 kW HVPS Series Switching Mode Power Supply can be configured to user requirements. Featuring < 0.1% ripple and regulation with << 10 joules stored energy, depending upon configuration, it offers full over-voltage and over-current protection up to +30% or preset to ±0.1% max. ripple.